Life seems to be quite busy for me lately and Family responsibilities are aplenty. I was not going to be able to make it out for this, as I had a prior engagement. Things changed Thursday the 11th. I read news the owner of Slash X ranch was killed in a tragic accident just a stones throw from his beloved bar. I have met Brian on several occasions throughout the years and have spent many post race evenings bench racing with my fellow racers. Brian was a true lover of our sport and he has provided his place for us to use as a home base during pre and post race events for many, many years. Being a former desert racer he was one of us. One of the family. 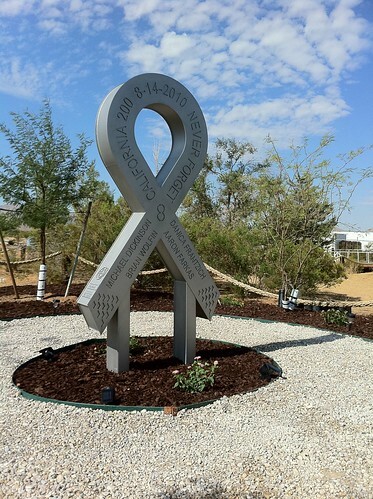 When FAST AID approached Brian with placing the California 200 memorial on his land, Brian with no hesitation offered a place on his property. I had to come pay some respects. 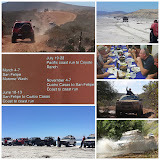 We drove up early Saturday morning took the long way across the desert out to Slash X. We arrived about 8:30 AM and found Lucas Hand president of Fast Aid and his staff placing the final touches on this wonderful memorial. Lucas and I talked for about an hour sharing stories about Brian, and the wonderful times we had over the years at the Slash X with Brian. Since the official unavailing was not for another 6 hours there were no other mourners there. Lucas gave us the personalized tour and showed us the intimate details explaining the meaning of everything. After the tour we said goodbye to Lucas and we headed back across the desert (the long way of course) back to interstate 15 South and headed home to resume my family duties. Saturday was a somber day. We trekked across the desert slowly reflecting about the events of the past year and soaking in the beauty of our awesome desert. Life is precious. Give your loved ones an extra hug tonight. R.I.P. Brian and those killed at the California 200. 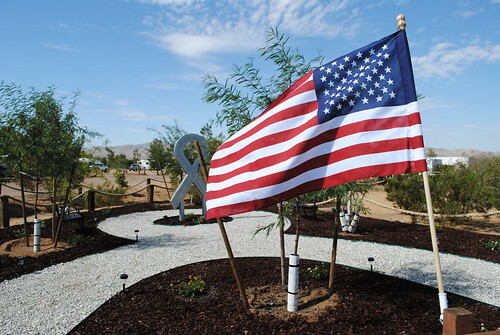 California 200 memorial. 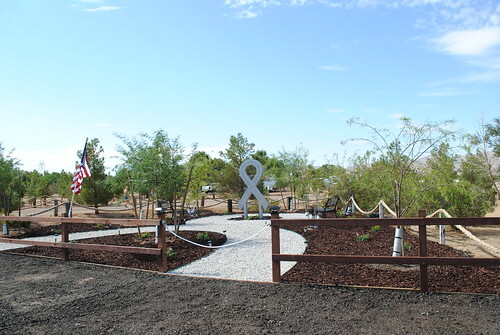 8 trees planted for those killed. 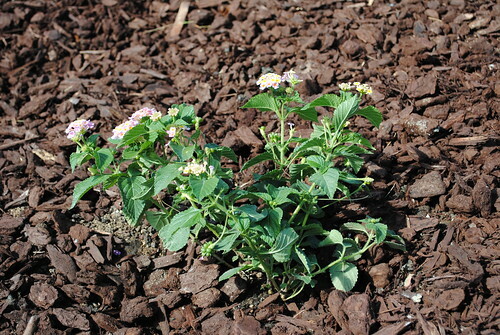 22 Lantana bushes for the survivors. the 8 names engraved on the stainless steel structure. California vacation property I can rent?